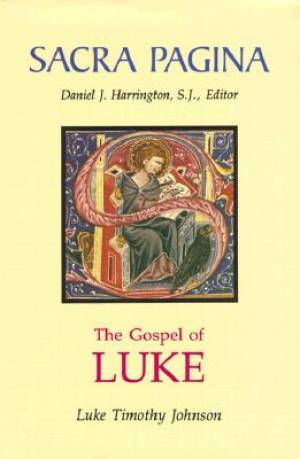 What makes this commentary on Luke stand apart from others is that, from beginning to end, this is a literary analysis. Because it focuses solely on the Gospel as it appears and not on its source or origin, this commentary richly and thoroughly explores just what Luke is saying and how he says it. Luke Timothy Johnson is the Robert W. Woodruff Professor of New Testament and Christian Origins at the Candler School of Theology, Emory University, Atlanta, Georgia. Luke : Sacra Pagina by Luke Timothy Johnson was published by Michael Glazier Inc in December 1991 and is our 35080th best seller. The ISBN for Luke : Sacra Pagina is 9780814658055. Be the first to review Luke : Sacra Pagina! Got a question? No problem! Just click here to ask us about Luke : Sacra Pagina.